Brown toenails, scientifically called onychomycosis, signal that there is a fungal infection on the nails. Fungus grows and thrives on toes and feet because they are usually covered in socks and shoes, creating a hot and moist environment. Once the fungus grows, it will discolor your toenails with a dull brown color. If you have brown toenails, don't despair. There are steps that you can take to treat the condition and prevent it in the future. Wash your feet using a mild soap. Make sure that the spaces between the toes are also soaped and washed. Rinse well. With a clean towel, pat the feet dry, including the spaces between the toes. The spaces between the toes are where the foot usually sweats, so you have to keep them dry and clean. Fungus loves an anaerobic environment. Clip your toenails short. 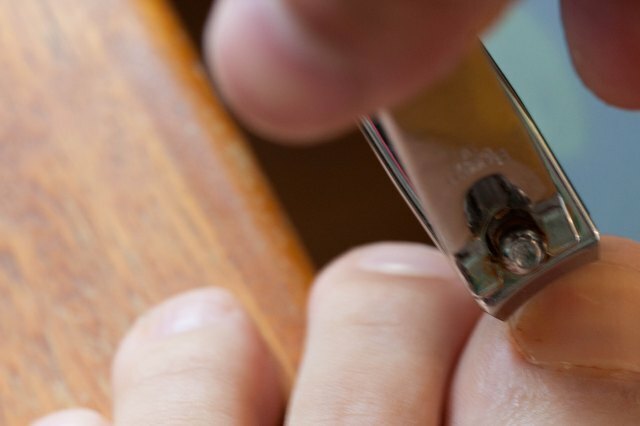 Cut the nails in a straight way and avoid cutting deep into the sides of the toenails. This will prevent incurring wounds or ingrown nails. Rub tea tree oil lightly into the affected toenails. You can also apply it to all of your toenails to be sure the fungus is removed. Apply the oil every 4 to 5 hours. You can also use lavender oil, olive oil, or oregano oil to treat the brown nails. Zetaclear is also a known remedy for treating nail fungus. It is actually a mixture of tea tree oil and other oils. 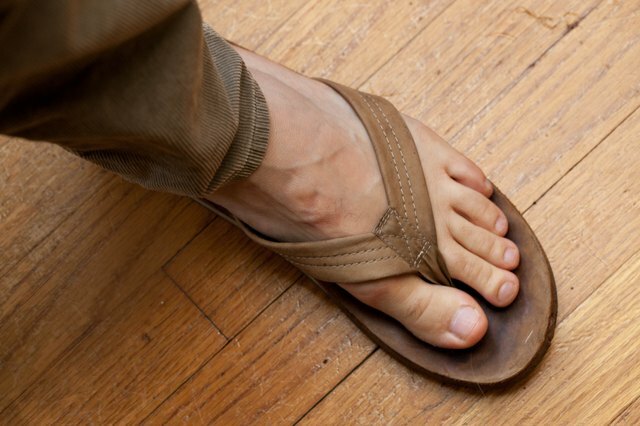 Wear open-toe sandals at home to allow fresh air in, which can help get rid of the fungus. When going out, however, make sure that your feet are covered to protect them from the dirt and microbes in the outside environment. It is best to stay at home while treating brown toenails so that your feet will remain as clean as possible. Wash your feet, particularly the toenails, every time they get dirty to avoid fungus. If the brown toenails spread to other toes despite this remedy, consult a doctor.